The reigning weiner empire in NOLA, Dat Dog may be known and loved for its encased meats on grilled, steamed buns, but the dogs aren’t the only thing they load up with their dizzying list of toppings. 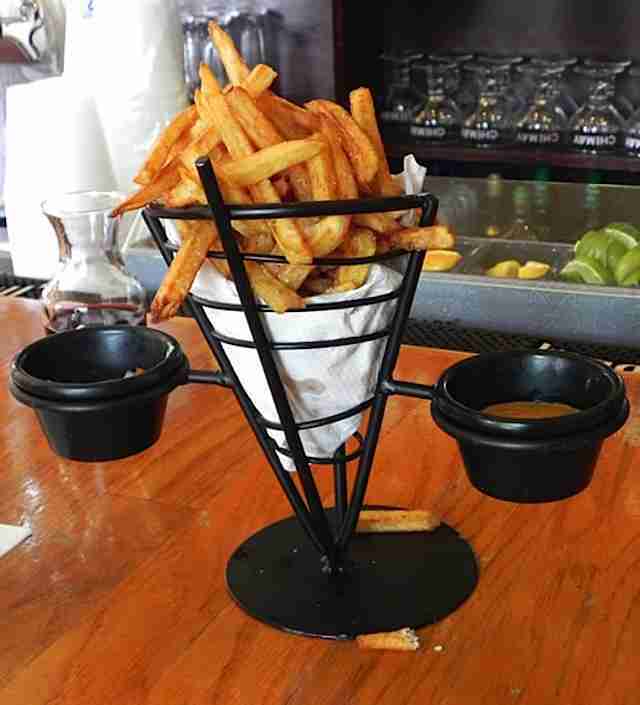 Order a towering basket of fries, and at the very least be prepared to get mustard on your eyebrows. They’re great on their own, but get the cheddar/bacon/ranch version if you want to go for glory. 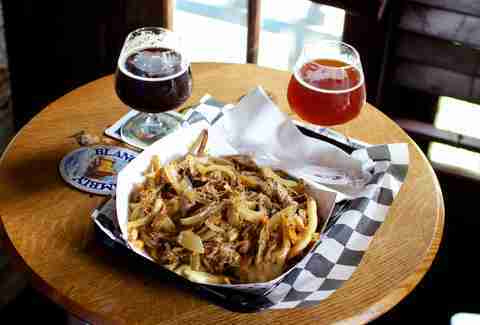 The globe-trotting menu at Booty’s might include everything from ramen to yuca mofongo, shakshouka, gunmandu, and seemingly everything between, but the proprietors made sure to make a stop in Belgium for some killer fries, paired with five dipping mayonnaises. 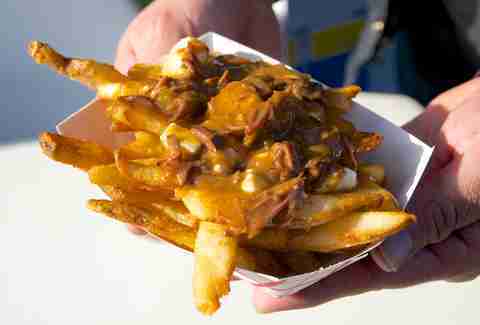 Cheese curds might not be a very New Orleans-y kind of ingredient, but roast beef “debris” gravy and fries surely are. Foodie Call ingeniously decided to combine them all for a Big Easy version of Canadian poutine, which is every single bit as good as it sounds. Sure, there are maple-bacon-Sriracha donuts with candied thyme at District. And, yeah, there are also wonderful little sliders and nitro-brewed coffee milkshakes. 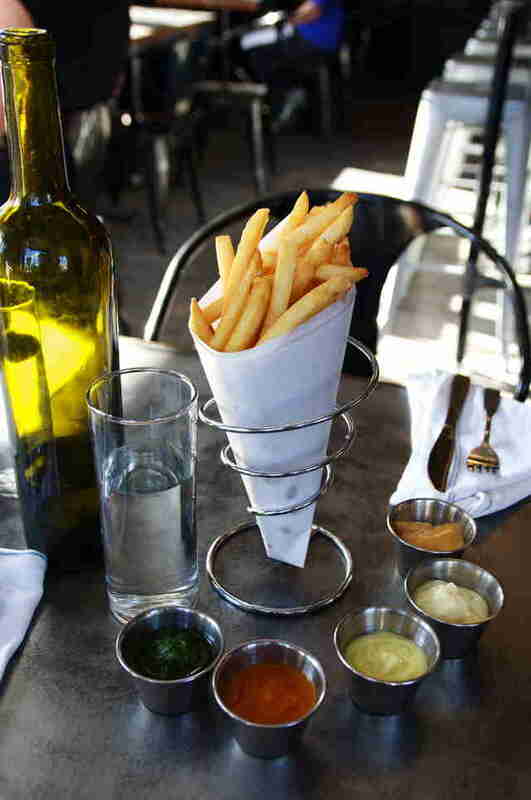 But don’t leave this place without ordering at least one order of their gooey, crispy waffle fries. Because everybody knows that the waffle is the most superior fry shape, as it maximizes surface area to be fried. A lot of New Orleans restaurants got on the sweet potato kick a couple of decades ago when the “Sugar Busters” diet was a big deal. That fad may not have lasted, but sweet potato fries certainly did, and Parkway has some of the best in town. 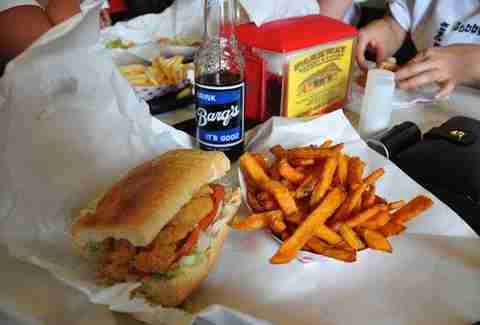 Pro move: order your sweet potato fries on a po-boy, drowning in gravy. And “dressed”, naturally. 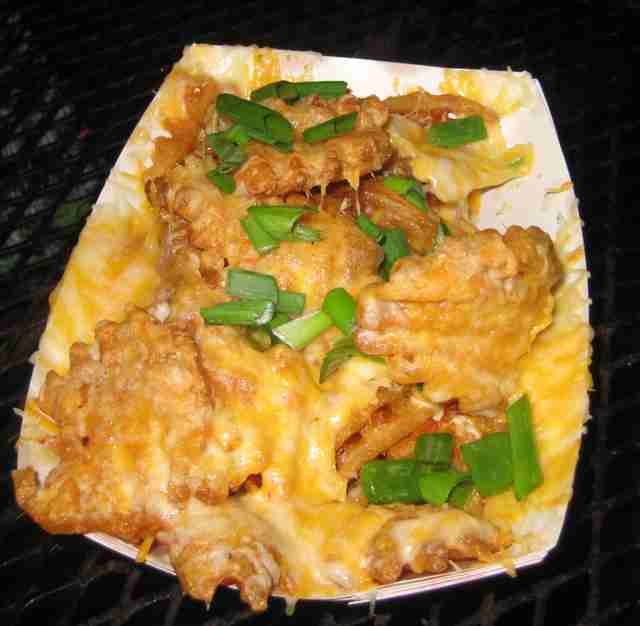 What are “Dump Truck Fries”, you ask? 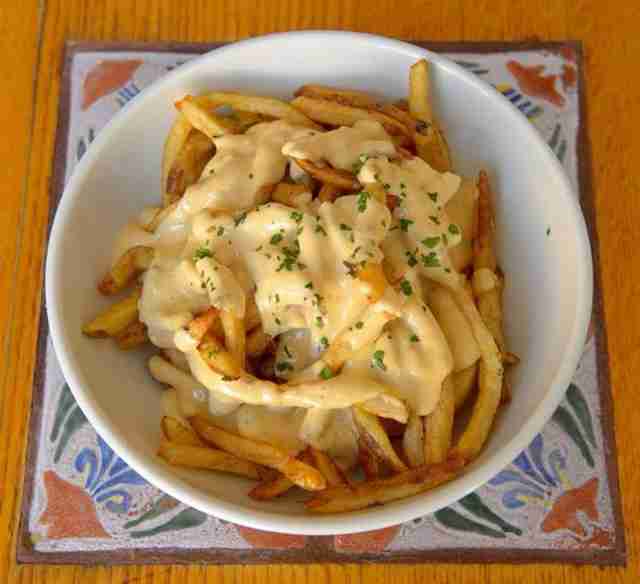 Well, sir, they’re an order of French fries upon which a dump truck-sized helping of roasted pork, béchamel, grilled onions, and a Port wine au jus is dumped, and can be found at the Avenue (along with one of the best beer lists in the city). 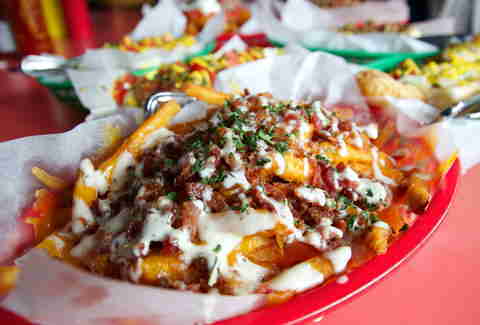 The “To Die For Fries”, with béchamel, bacon, and jalapeños is also worth your attention. 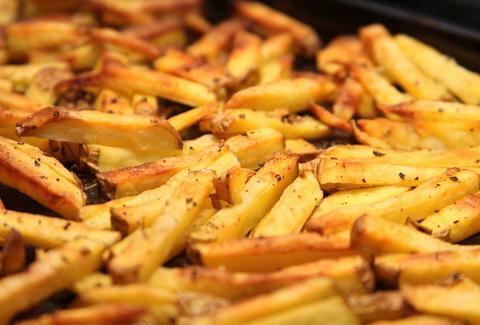 The fat in which your fries are fried makes a big difference in how they taste. Cooks debate sunflower oil vs. peanut oil and so on, but our money is always going to be on straight-up goose fat for the ultimate in decadent frites. There really is no comparison, and the Delachaise knows that. 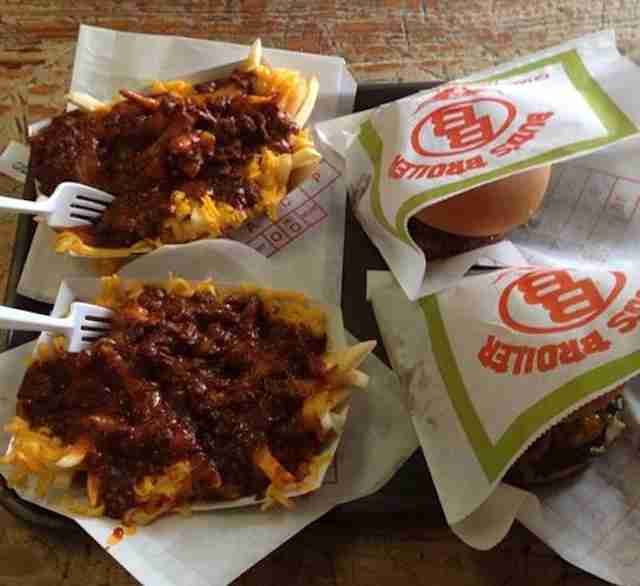 There are classy, traditionally, and painstakingly prepared authentic French frites... and then there’re Bud’s chili-cheese fries, a monstrous calorie bomb the size of a modest volcano that could probably feed a modest village for the better part of the week. Bonus points for remembering the Pepto. Freedom fries these are not -- the French fries at Baie Rouge have the Frenchness taken up to 11, thanks to a generous topping of melted Brie (which has been whipped into a smooth, silky texture), and scattered with fresh thyme. If you find yourself at F&M’s, a number of things are likely true: 1) it is somewhere between late night and early morning, though difficult to say, especially because 2) you’re less than completely sober, and 3) you’re probably dancing on the leopard-print pool table. 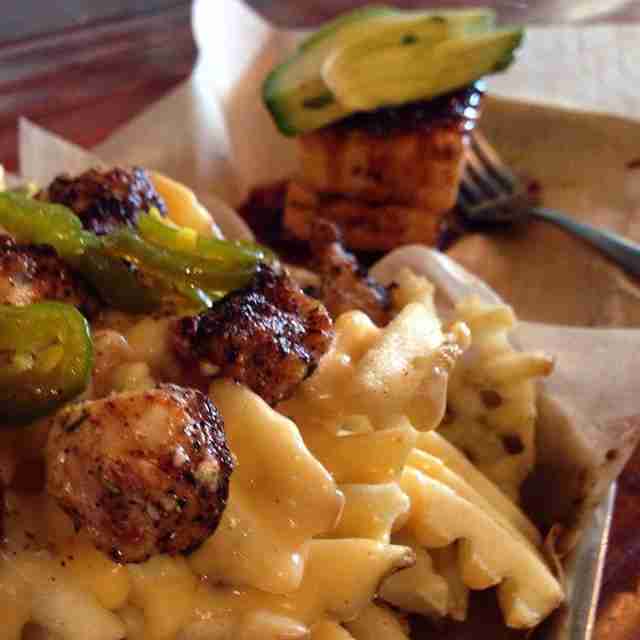 Luckily, 4) you will be ordering a mess of waffle cheese fries, and 5) they will SAVE. YOUR. LIFE. While they are technically not “French fries” in the traditional sense of the word, two of the oldest restaurants in New Orleans deserve special attention for their “soufflé potatoes” (i.e. 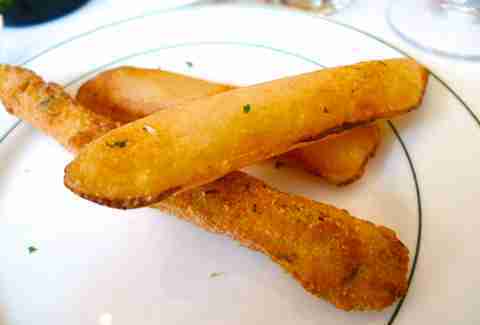 pommes soufflées), those inimitable, puffed sticks of air-light potato-ey delight. We’re not sure exactly how they make them, but we’re certain some sort of dark magic is involved.